Hi. My name is Dave Nesbit. This is an original 1978 CR 250R from the handle bars down to the original tires, except the original fenders were basically scratchless but very faded, so the fenders in the pictures are replicas available through Red Racer. Nothing else has been altered in any way. Even the paint on the exhaust is stock! I found this bike from an individual who purchased this bike from a farmer near Melcher, IA who had purchased it for his son who was killed that same year. 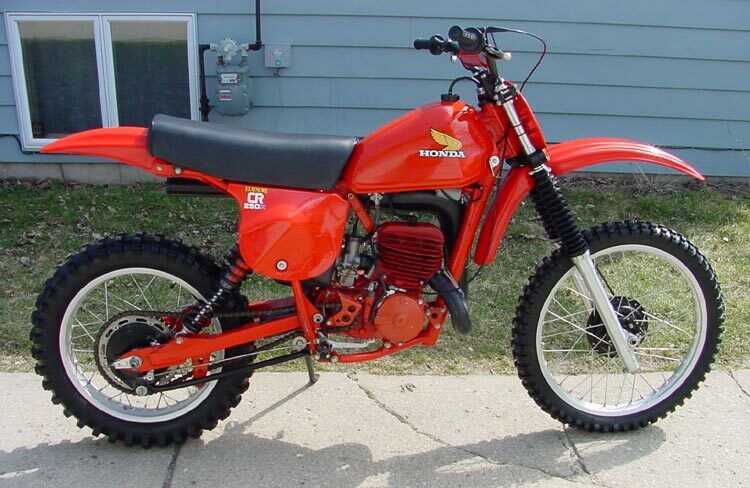 I raced back in the seventies and in '78 I raced a YZ 250E and was getting beat by these damn Honda's. Even though I worked at a Yamaha dealership I bought a '79 CR 250R and raced it with very good success. My boss called me a Benidict Arnold and I was not allowed to bring the bike to the shop but that was Ok because I was winning!